Josh King explains the stagecraft of the Democratic and Republican national conventions. Keep an eye out for the subtle stage-managing of the presidential nominating conventions. 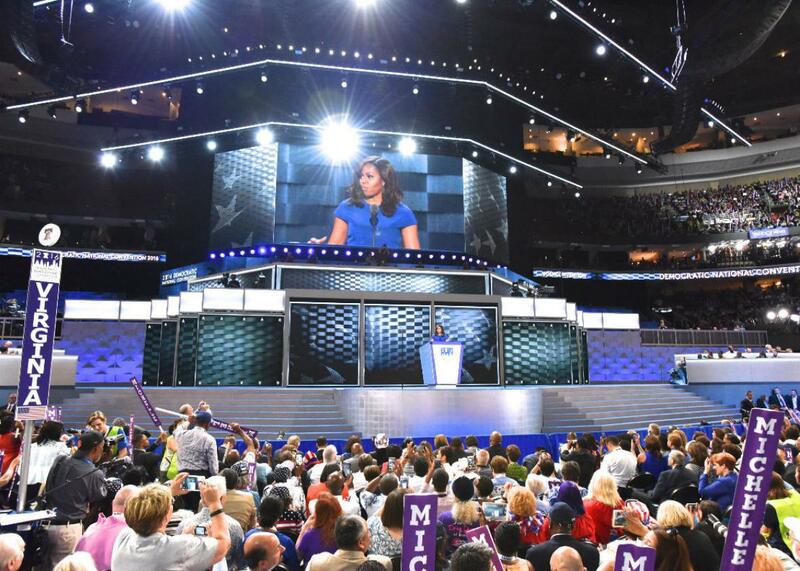 First Lady Michelle Obama at the 2016 Democratic National Convention on July 25, 2016 in Philadelphia, Pennsylvania. On The Gist, should Sandra Bland’s mother be part of the DNC’s Day 2 lineup? Then, former political advance man Josh King shows us how to spot the subtle stage-managing of the nominating conventions. His book is Off Script: An Advance Man’s Guide to White House Stagecraft, Campaign Spectacle, and Political Suicide. Check back for an a.m. Spiel Quick & Dirty Dissection of the DNC, Day 2. Rocket Mortgage from Quicken Loans. Rocket Mortgage brings the mortgage process into the 21st century with a fast, easy, and completely online process. Check out Rocket Mortgage today at QuickenLoans.com/gist.